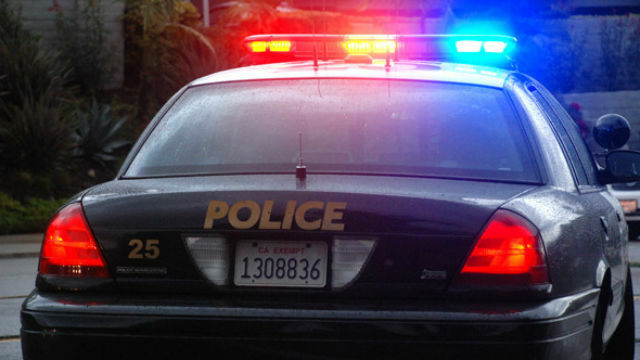 A 20-year-old man driving a stolen pickup blew through a red light in the Midway District early Friday, sparking a police chase along freeways and city streets that ended in his arrest in Kearny Mesa. Luke Wayne Shaver drew the attention of San Diego police as he allegedly ran a red light at the intersection of Sports Arena Boulevard and Hancock Street in a stolen truck about 1:50 a.m., according to San Diego police Officer Frank Cali. Officers gave chase and followed Shaver onto interstates 5 and 8 and into the Clairemont area, Cali said. Police used a spike strip to slow down the pickup on Balboa Avenue near Ponderosa Avenue, and it eventually came to a stop on Aero Drive near Interstate 15, according to the officer. Alcohol and drug paraphernalia were later found in the truck, he said. Shaver was arrested and booked into jail on suspicion of vehicle theft, possession of stolen property, evading a peace officer, possession of narcotics and drug paraphernalia and driving on a suspended license, according to police and jail records.